Today, Mon., June 11, marks the one year anniversary of the launch of Quick News, LLC and QuickNewHavenNews.com. It has been an exciting year filled with breaking news, heartwarming stories, and community events. Happy 30th Wedding Anniversary to Gary and Donna Meyer! I want to wish my great friend Kaylin and her husband Kevin Happy Wedding Anniversary. Pictured above left to right: Back Row - Marvin Schroder, Larry Kemper LLoyd Meyer, William Pohlmann, Fred Pohlman, William Kelly Jr.
Congratulations Mr. and Mrs. Ryan Colter! Kristen Nicole Schwentker and Ryan Raymond Colter were united in marriage on October 8, 2011 at St. Peter’s United Church of Christ in New Haven, Missouri. The Reverend David W. Poe officiated the ceremony. 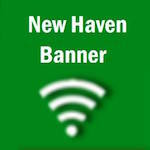 The New Haven High School Reunion Committee has announced that an alumni reunion will be held at the Boondocker Inn on Sat., Oct. 1, 2011. Marvin "Buddy" and Norma Meyer of New Haven celebrated their 60th Wedding Anniversary Sat., July 30, 2011 with their family and friends. The event was held at the Boondocker in New Haven with a dinner and dance reception, complete with a garter and bouquet toss.